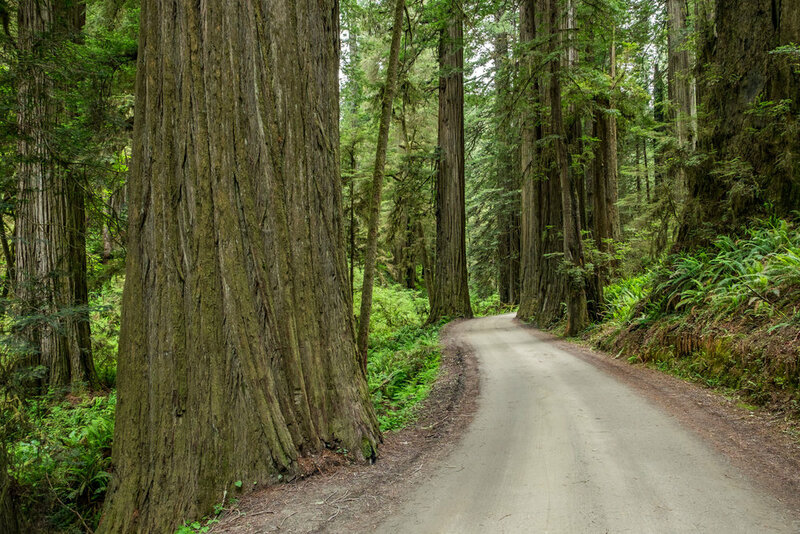 Feast on this, tree huggers: America is home to the largest, oldest, and tallest trees in the world. Sequoia and Kings Canyon National Parks in central California is a habitat for the largest tree by volume, the giant Sequoia. Great Basin National Park in Nevada is home to the oldest trees, the Bristlecone pine, which can live up to five thousand years. 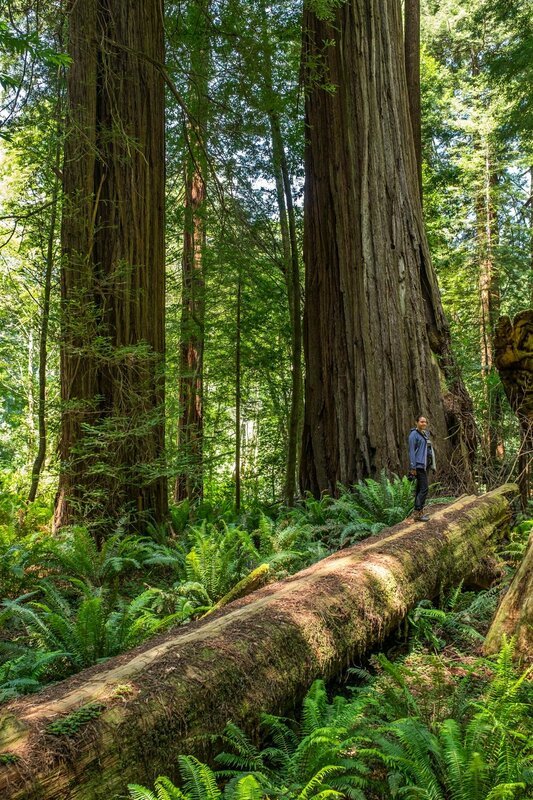 And on the California coast at Redwood National and State Parks just south of the Oregon border, the tallest trees on Earth grow upward from old-growth forests and reach for the heavens. A mega old-growth ecosystem at work making wilderness magic. When you stand beneath a redwood tree, even if you can miraculously see the top of it, you will most likely have no comprehension of its true size and scale—it simply doesn't register. Fortunately, the intense forest ecosystem that they help to create is far more visually interesting than is their staggering height. In the top canopy of the forest, redwoods, western hemlock, and Douglas-fir trees commingle; dynamic are their thickets with the activity of flying squirrels and scores of bird life (including the marbled murrelet, a coveted sighting for bird-ninjas!) The middle canopy is filled with Tanoak and rhododendron trees that provide low-to-the-ground shade aiding bottom-up growth, all the while sheltering wildlife and giving them space to roam inconspicuously. The forest floor is a mess of fallen trees, rich soil, tree bark, mosses, leaves, water, stone, and seemingly every variety of emerald-colored vegetation that you think belongs in an old-growth forest. Stef is dwarfed beneath one of the tallest trees on Earth. Tall Trees — The first stop every visitor should want to make in this park is to the forests where the world's tallest trees live. You may never find the tallest tree (its true location is known only by a few in an effort to preserve the habitat,) but you can get close. Just head to the visitor center and obtain a free permit for the Tall Trees Trail. The hike itself is short but moderately strenuous descending 1.3 miles of steep grade where you will hit the start of another loop trail that brings you into what feels like the secret gardens that are storied in fairytales. Trees and vines and plants swirl and wind into the forest floor, and the forest floor answers back by sending them into a green umbrella sky. It’s not a reach to say that these are among the most surreal and lovely forests on our home planet. The California coast in Redwood National and State Parks. 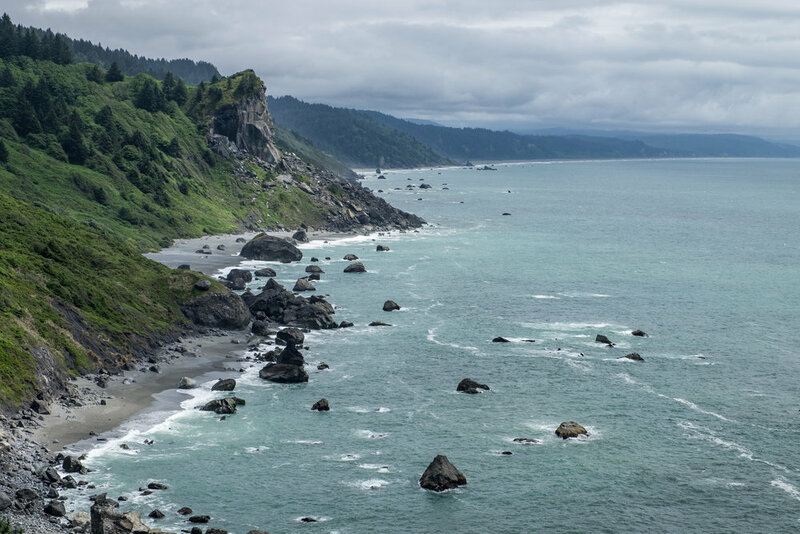 The California Coast — While the undisputed draw of this wilderness is the inland forest, you won't want to miss the California coast, a stretch of beauty that has enticed the hoards for eons. 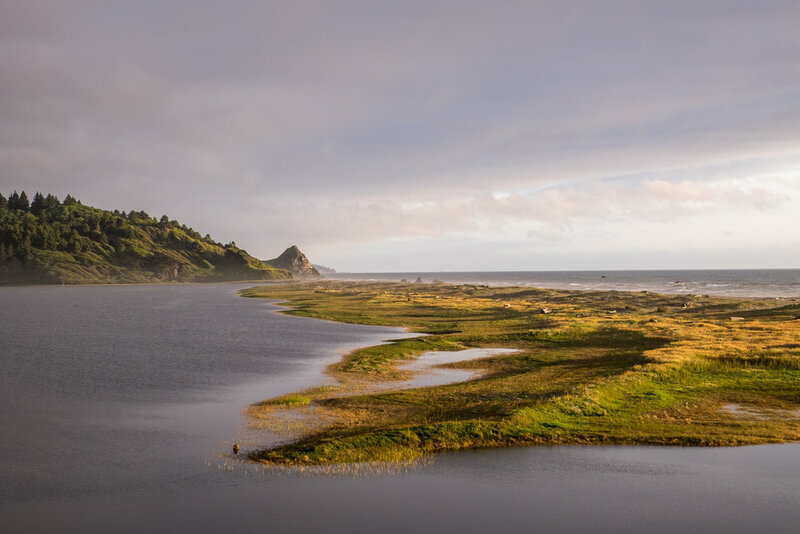 This coastline isn’t just a place to breathe in the salty sea air and capture picturesque views of rocky coastlines (though that’s most certainly allowed)—you can also learn about marine ecology while wading through tide pools in search of sea stars, hermit crabs, and other Pacific sea life. This is one of the rare parks that finds itself on a continental coastline, providing an awesome mixed bag of things to do. Beautiful Bald Hills Road leads you to solitude, and if the season is right, wildflowers! 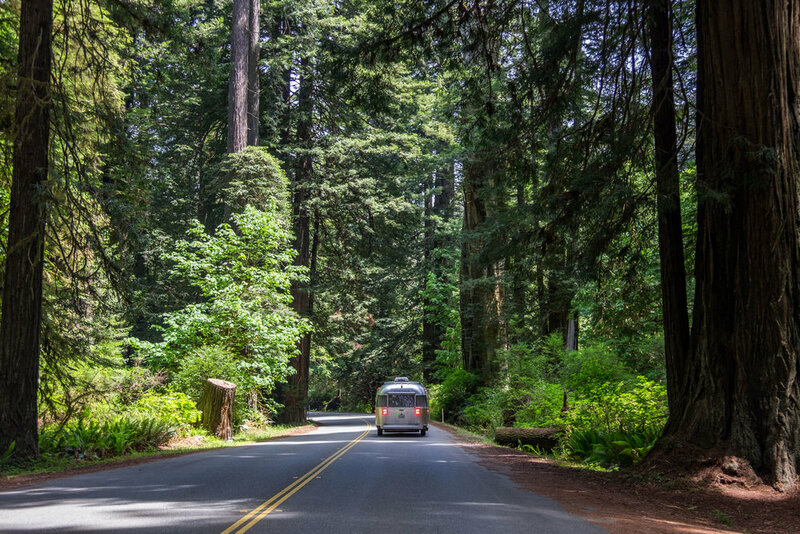 Scenic Drives — Redwood National and State Park is popular for road warriors because of its well-mapped scenic driving roads. 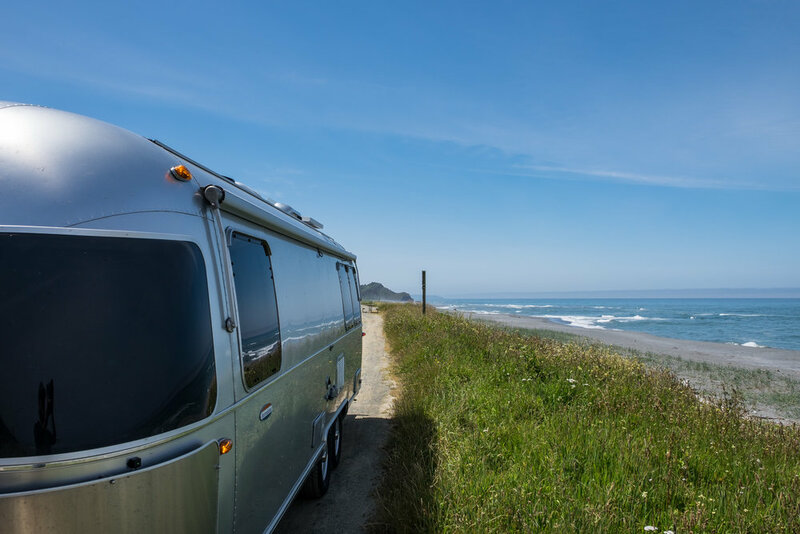 The path that stretches north from the park's beginning and outwards toward the coast is best explored by car, bicycle, motorcycle, or in your RV/travel trailer (bare in mind that large vehicles are not advised on many of the smaller roadways in the park.) It’s not how you get around, though, but what you find along the way. This roadside vantage point is a stellar way to see large herds of Roosevelt elk in their natural environment without disturbing them. It is also a great way to hop to and from various trail heads that shine a light into the overgrowth forests. 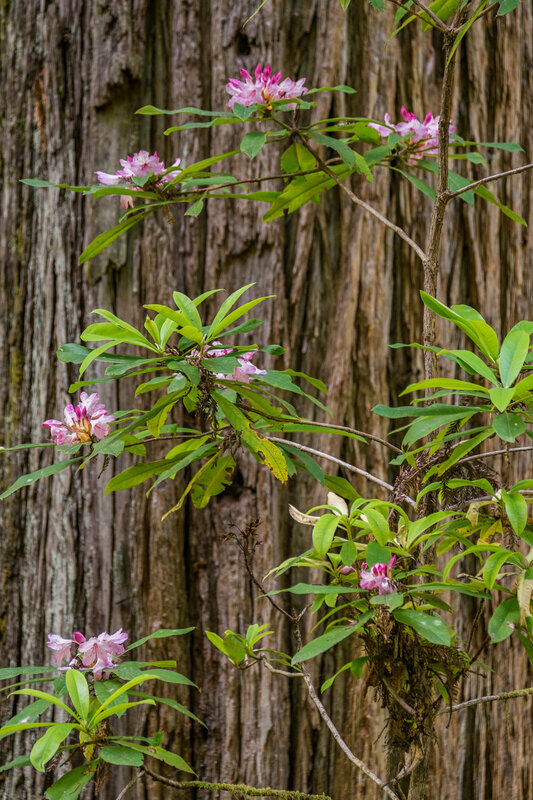 Flora — One of the great draws to the area during spring and summer is the annual bloom of the native rhododendron trees. 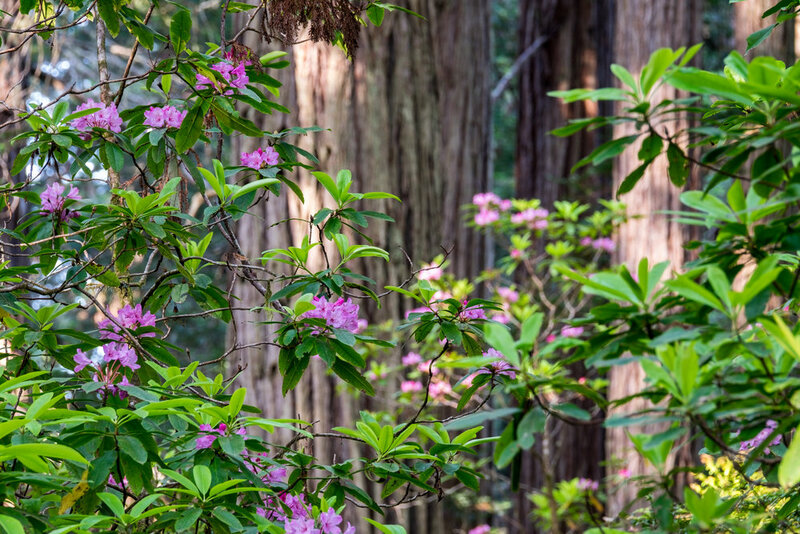 It may be Washington State’s official flower, but it blooms like a champ in the coastal redwood area of California. There isn’t one specific viewing location, for they grow throughout the entire region, peaking out from inside the intense vegetation with glorious peeps of color. To see them, you will want to focus more on when than where—the height of the bloom is mid-May to early-June. 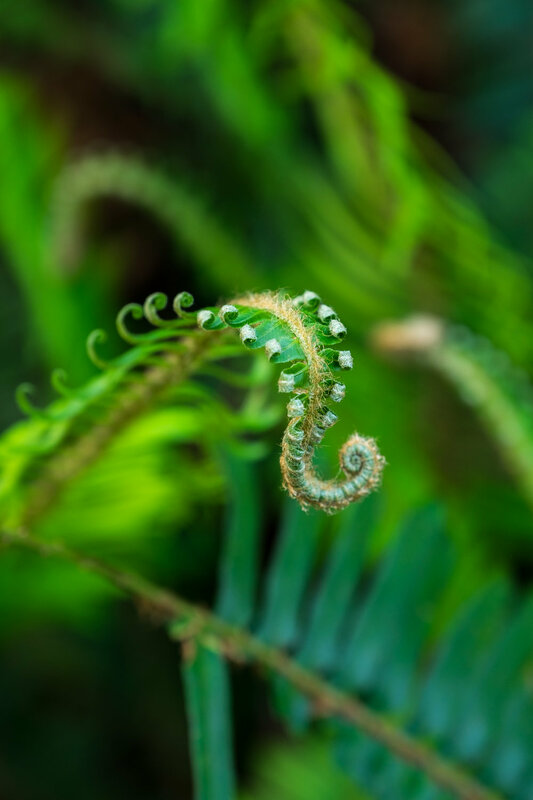 Another splendor of lush vegetation can be found among the ferns. 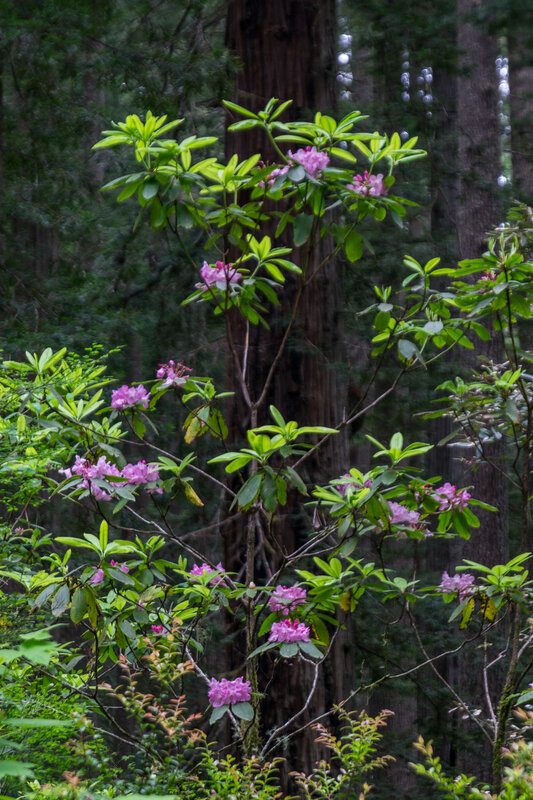 They create fertile ground for scores of shrubs, wildflowers and other plant life that ultimately supports the growth of the redwoods, fir, and hemlock trees. In this area, ferns are the ultimate survivors next to the redwood trees. 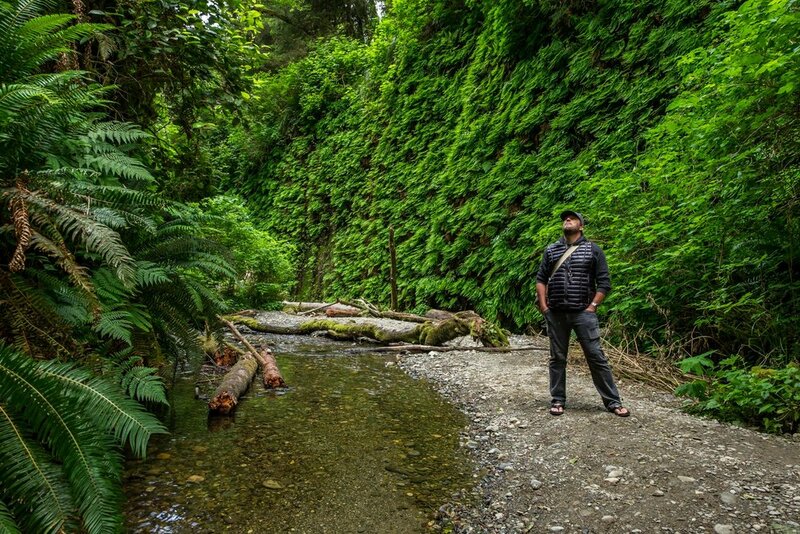 Fern Canyon offers the most immaculate display you could imagine—ancient ferns cascading down canyon walls onto the bed of a shallow creek. The hike itself is short, just under one mile, but the time you spend there enjoying the environment could as well be endless—for there are few places in the world so mesmerizing and mythical in feel. Additionally, it is very photogenic, particularly the juxtaposition of a tiny human against massive green walls of delicate vegetation. 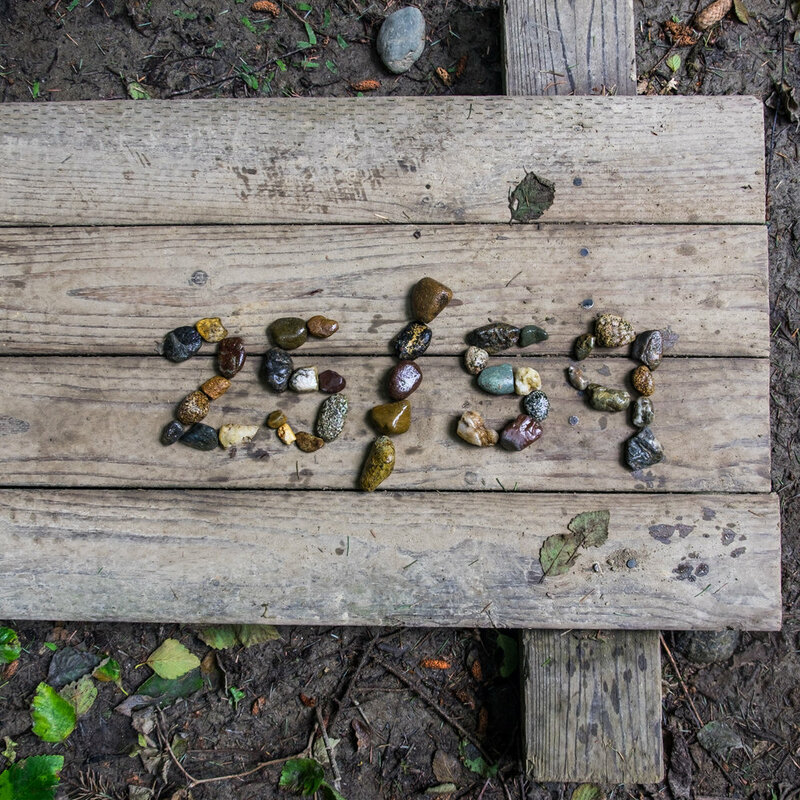 And turn on your earbuds while you're there (the natural kind, not iThings) to hear the sound of nature; moisture falling from the mossy encampment. 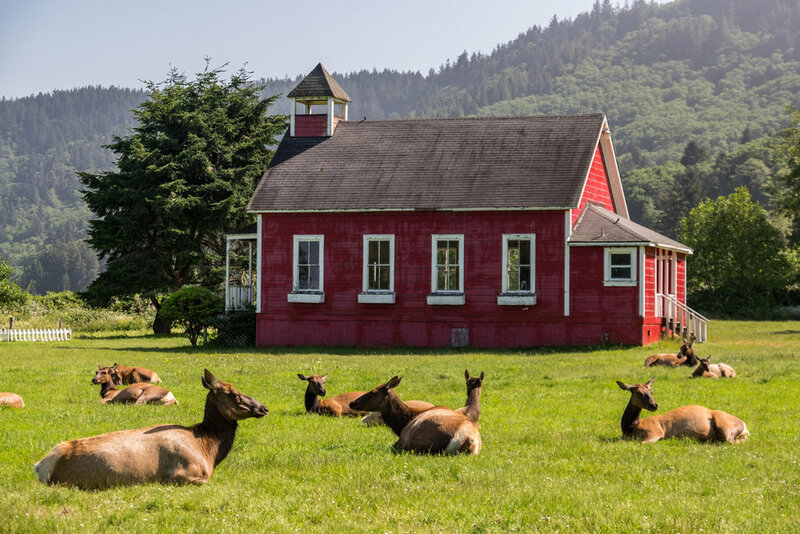 Roosevelt elk relax in one of their preferred stomping grounds in the south part of the park. 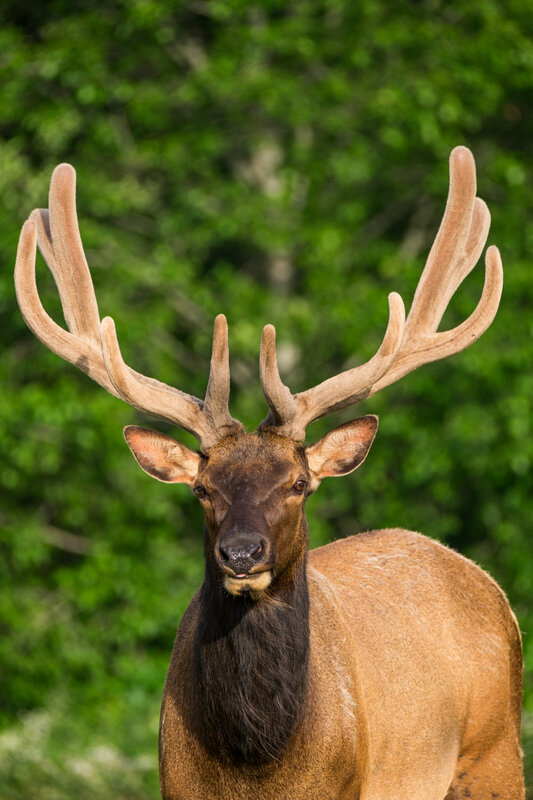 Fauna — Roosevelt elk flourish in Redwood National and State Parks and are a unique draw as they are not found anywhere else in California. 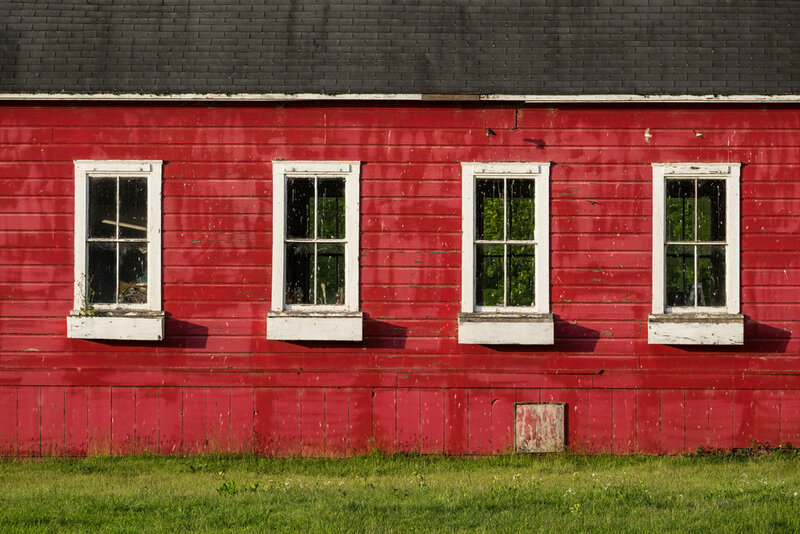 There are seven herds living in the vicinity and they are said to be increasing in numbers each year. It would be hard to visit this park and not see the herds that number anywhere from 10 to 50 in quantity. While they are a sight to marvel at and photograph, they are not to be approached—elk are known for their unpredictable temperament, particularly females rearing young during the months that are most popular for park visitation. Males and females with young often break off into separate areas and with the California sun falling upon them, and they sit for long periods of time making this is an amazing place for wildlife photography. 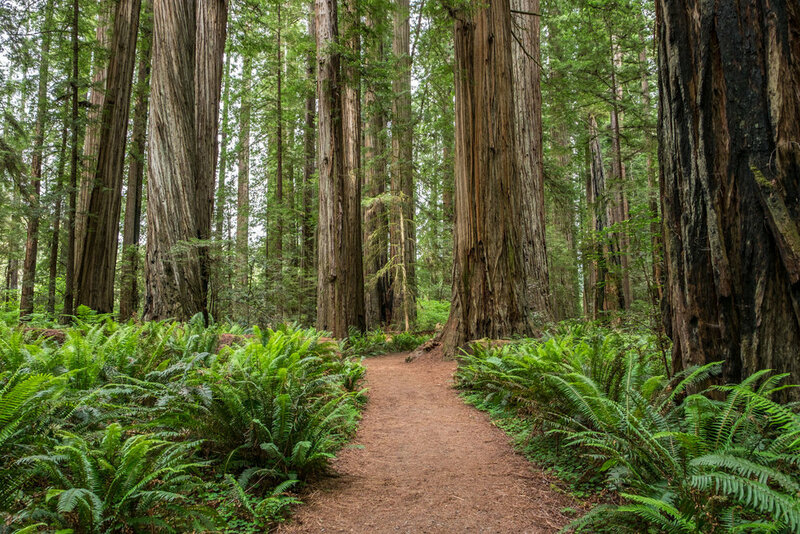 How the park got its name: Redwood National and State Parks were named for the coastal redwoods that line this one of a kind area on the California Coast. Sempervirens is the scientific name for coastal redwoods and it means everlasting. Iconic site in the park: In 1969, Presidents Richard Nixon and Lyndon B. Johnson, along with Governor Ronald Reagan, dedicated 300-acres of old-growth forest to Lady Bird Johnson, who was a champion for the preservation of America’s natural places during her husband's time in office. The Lady Bird Johnson Grove sits at the top of a ridge at 1,200-feet above sea-level and is easily accessible across a footbridge from the parking lot. 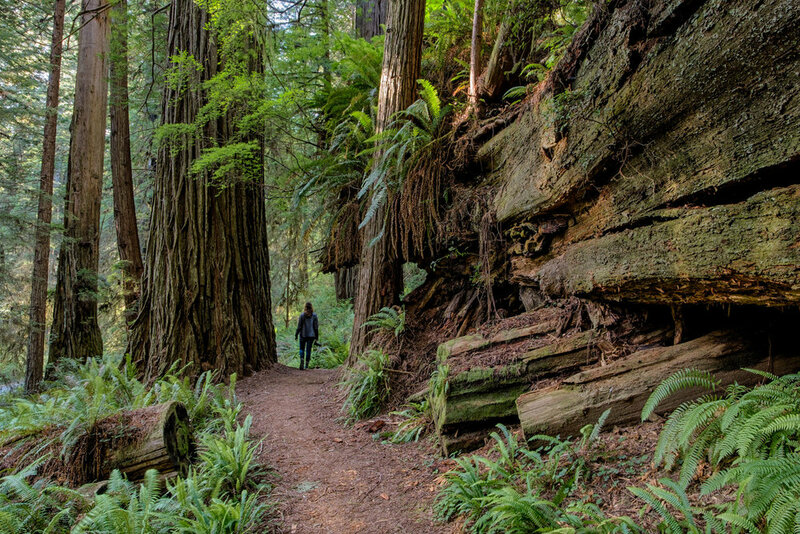 Along the one-mile loop trail you can wander among giant redwoods and get a taste of the magical old-growth forests that thrive in the region. 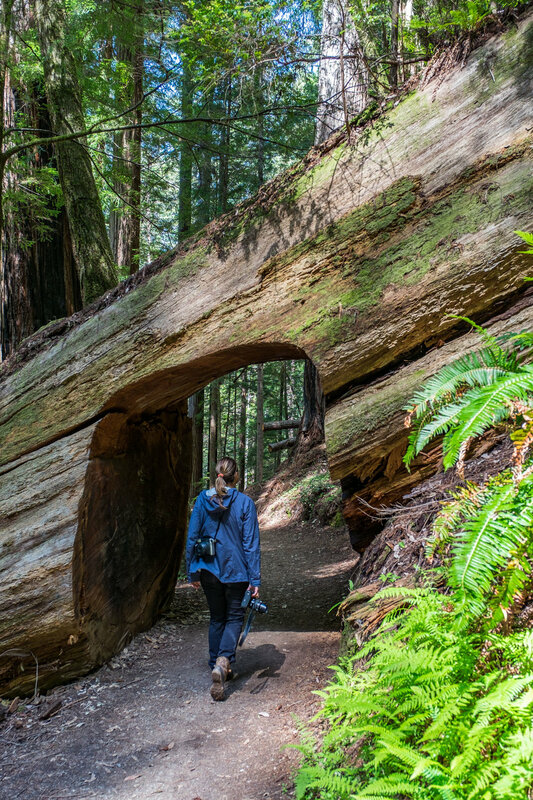 What makes this particular trail so iconic is that it was where the park was dedicated, and also because there is a unique sense of space that allows visitors to gain an understanding of just how massive these trees really are. To get space from the many, many others wishing to explore this most popular place, try visiting early in the morning or late in the day. Accessible adventure: The Newton B. Drury Scenic Drive is a 30-minute auto-walk through some of the most beautiful space the park has to offer. 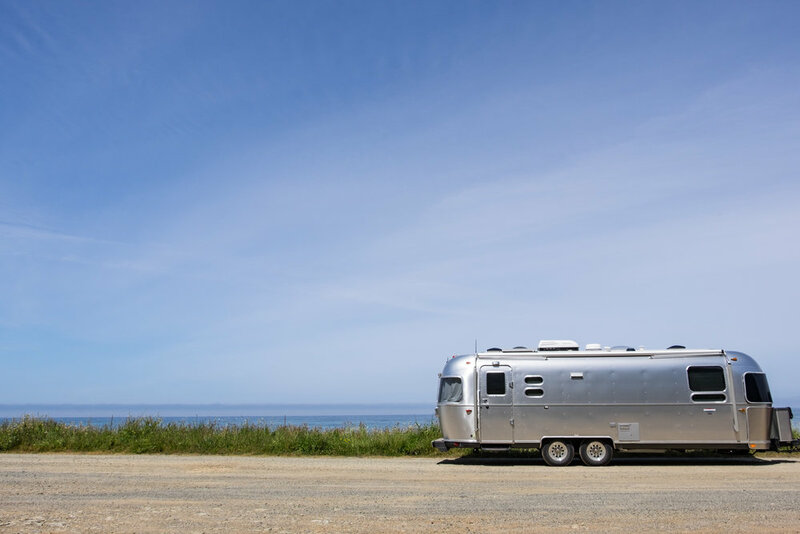 The road travels only 10 miles, one way, but there is no shortage of sights to see on either side of you and plenty of places to stop for a hike or a wildlife sighting along the way. 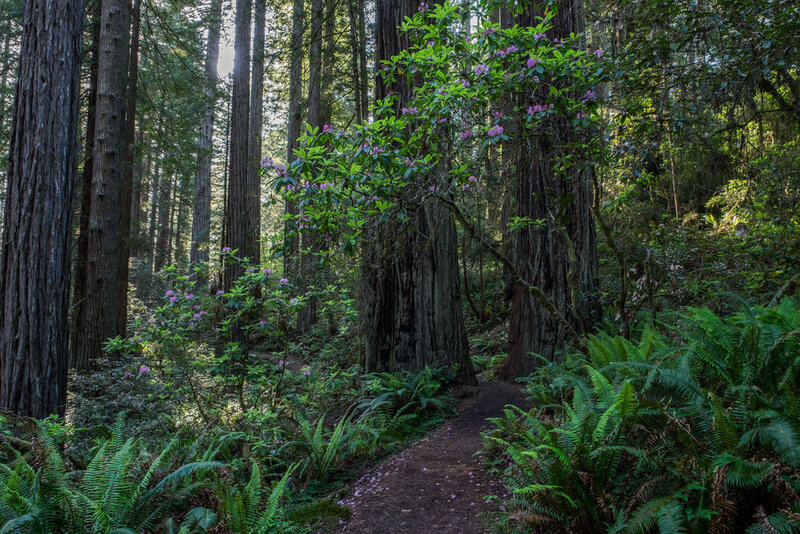 What's great about this area is that it provides glimpses of some of the national park's best traits: rhododendrons in bloom, sky-high redwood trees, wildlife congregating in large meadows, and easy access to trails leading into some of the greenest, lushest forest you could ever imagine. Big adventure: The West Ridge Trail is a moderate 7-mile hike but we name it our big adventure because it also serves as an access pass to other big trails where your exertion output could meet few limits. Offshoots like the Friendship Ridge Trail (where you can pack in a monster 12-mile hike) and the Ossagon and Miners Ridge Trails (that march along isolated backpacking routes to clearings in designated camp spots) open up the wilderness trail system to stretches that lead as far as your feet can take you. 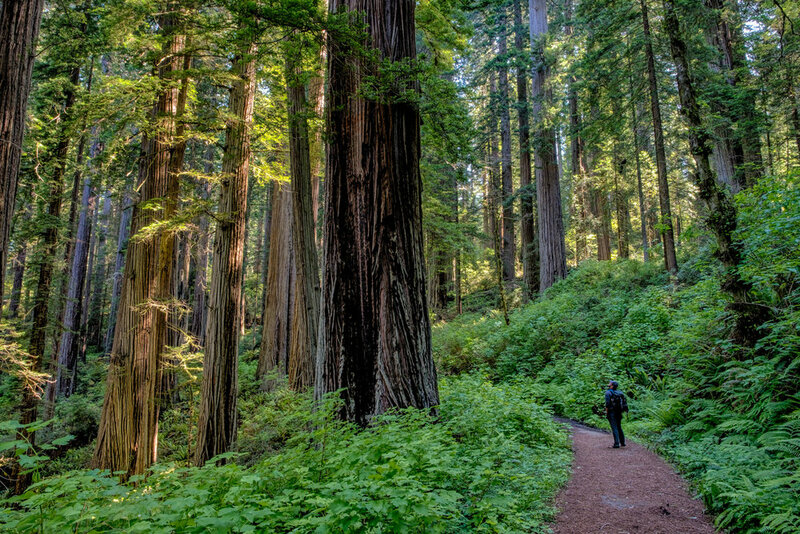 Endor, the planet of the Ewoks in Star Wars Return of the Jedi, filmed at Redwood National and State Parks. Scenes from Return of the Jedi were filmed in the Jebediah Forest in the north part of the park. It has since lost most of its trees to logging. 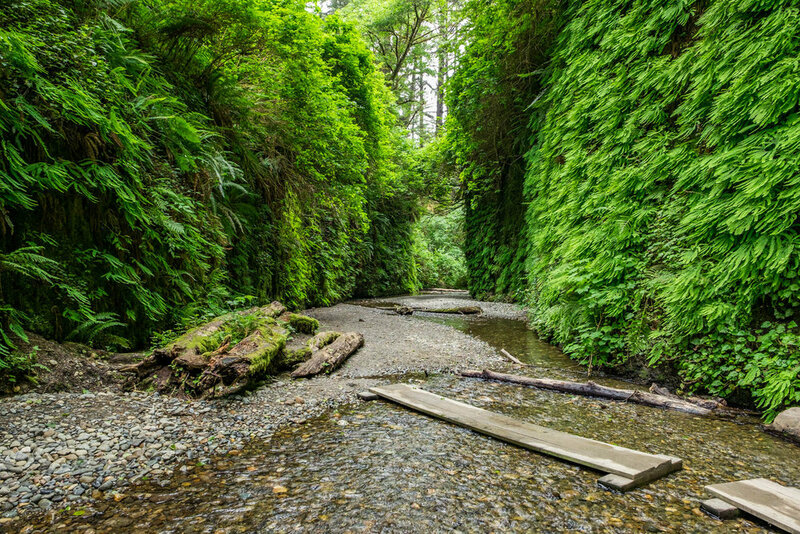 Parts of Jurassic Park 2 and BBC's Walking with Dinosaurs were filmed at Fern Canyon. 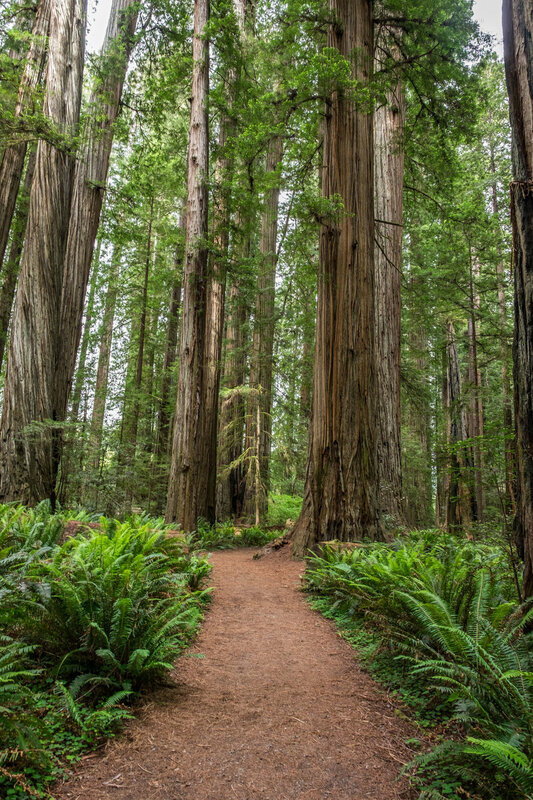 Coast redwood trees are not only the world’s tallest trees, they are the tallest living thing on the planet! 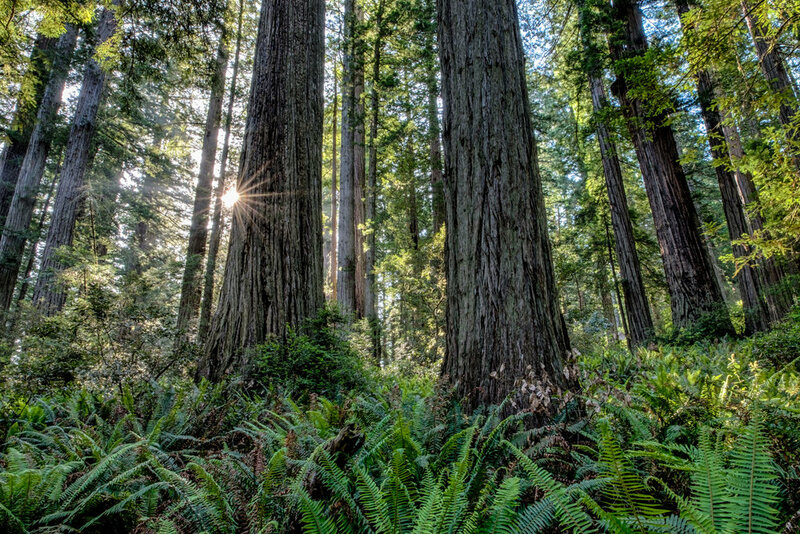 The average age of a redwood tree is 500-800 years old but the oldest are up to 2,000 years old. 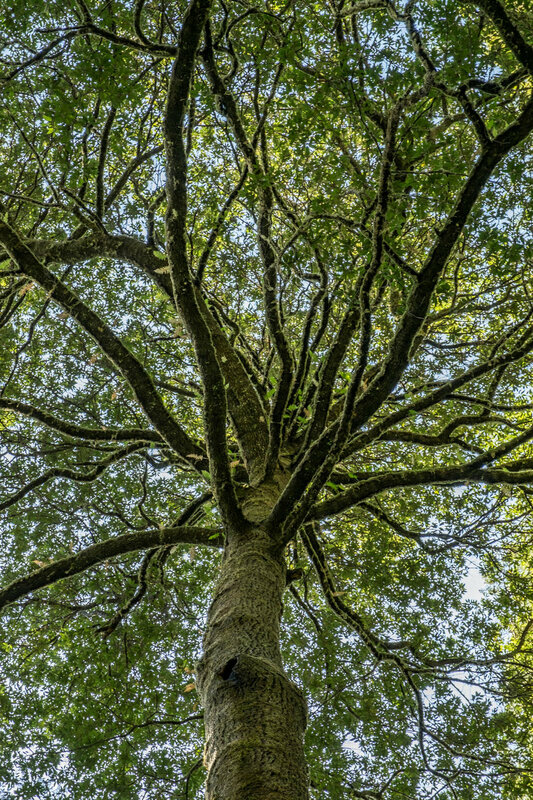 These forests may contain only 10 tall trees per acre. 20 generations have passed since the tallest of the tall trees standing today first emerged from the soil. Common wildlife at Redwood include: Roosevelt elk, mountain lion, black bear, bobcat, beaver, deer, and coyotes. Marine mammals include sea lions, harbor seals, dolphins, and whales. 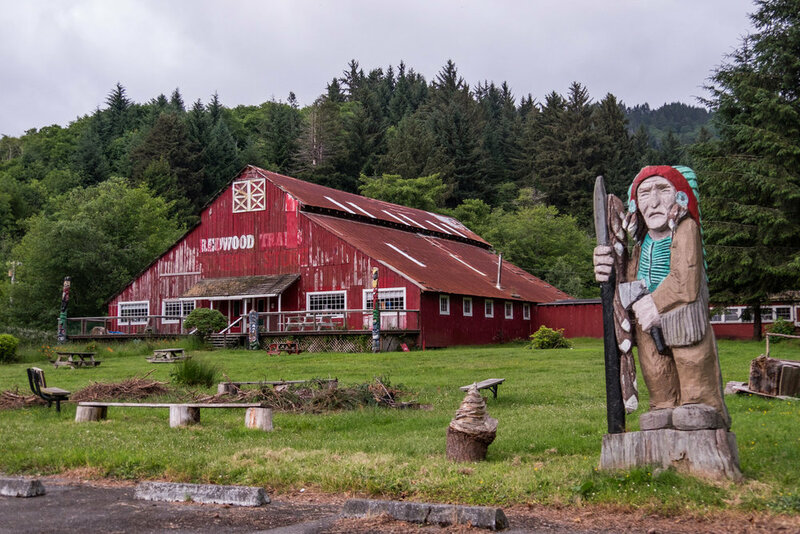 The Yurok Indians once inhabited the area that now makes up national and state parkland. They are known to have a highly-evolved social and economic structure, and their woven baskets are some of the most highly prized and collected of all native American craft in America. 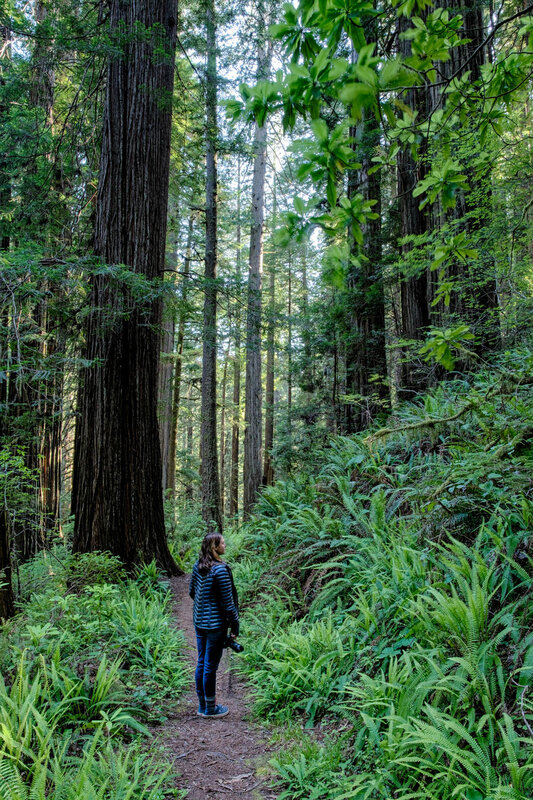 While hiking is the most popular way to explore Redwood National and State Parks, some prefer to get around on horseback or bike on certain designated trails. Coastal kayaking is another popular sport in the area. For inland paddling, head to the Smith River—the longest undammed river in California. Here too you can drop a line and pull up salmon and steelhead. 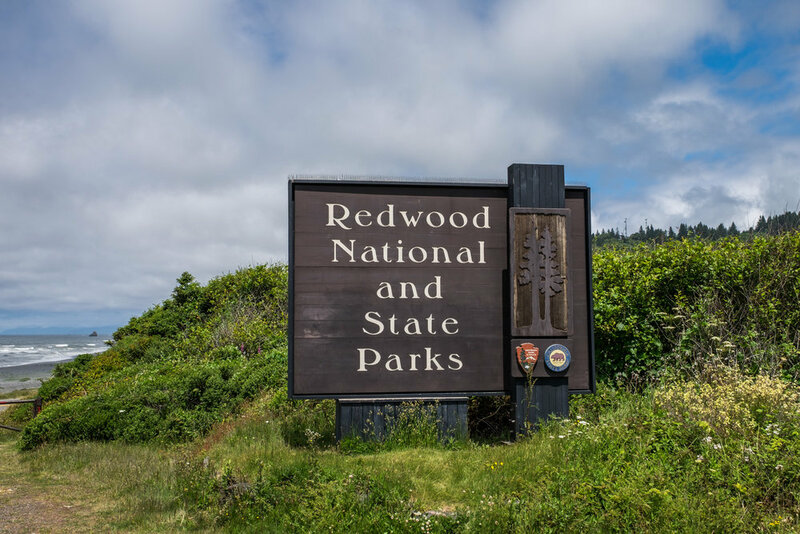 The curation of Redwood National and State Parks is similar to that of Acadia National Park in Maine being that the citizens contributed their own purchased private land to help preserve the redwood groves. 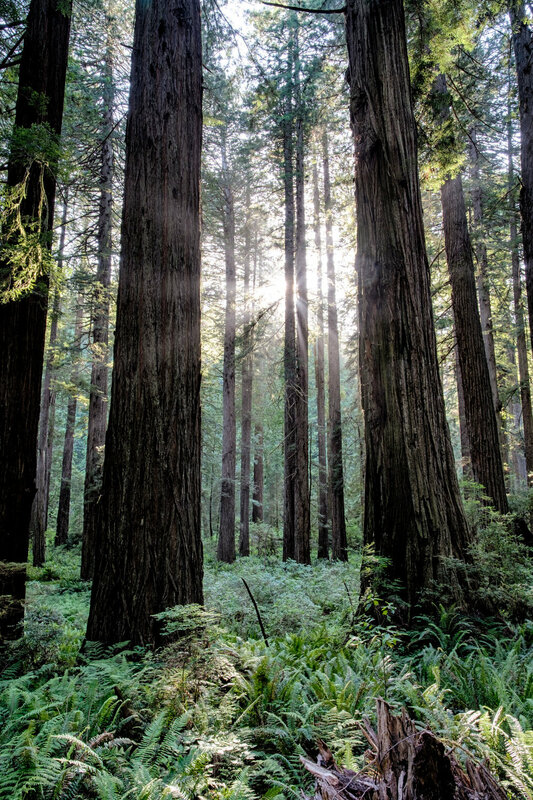 There once was a time that old growth forests covered the area from Central Coast in Big Sur all the way up into Oregon….then came the logging boom during the mid-17th century and thus began the fall of the big trees. 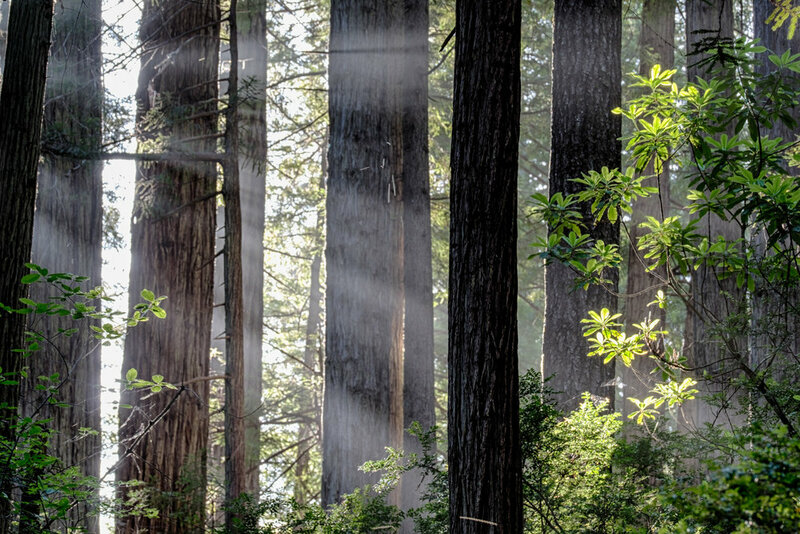 Aboriginal redwood forests that had stood for millennia had all but vanished by the 1960s, Today, only 4% of the old-growth forests remain, nestled on the northern California. 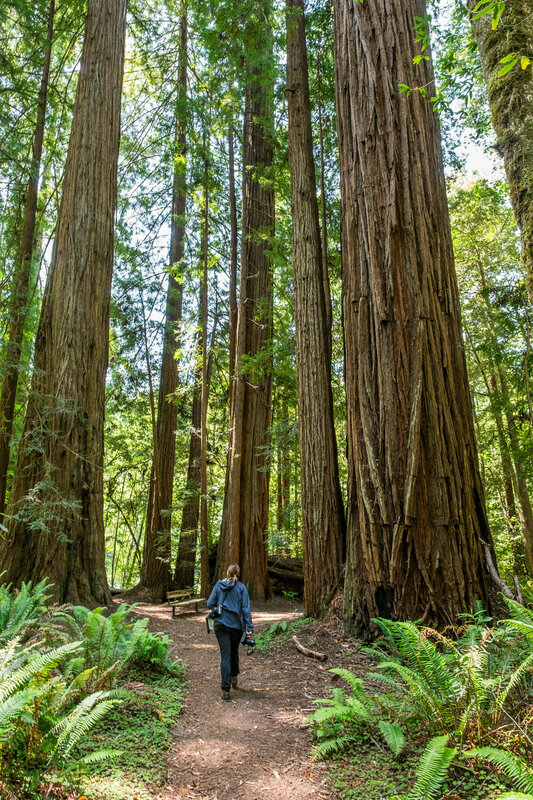 Realizing that the threat was real and rapid, three state parks protecting wilderness were established in the 1920s; and redwoods national park protecting the old growth forests were protected in 1968 when Lyndon B. Johnson signed a bill into law. This park is one of the few that share joint jurisdiction, one other notable park being Sequoia & Kings Canyon National Park sin California that administer as one and operate as two.